I love a good caprese salad, and anything with mozzarella for that matter. Once again it is fresh, so easy to prepare and tastes like summer to me and can go a long way depending on how you prepare it. Slice the peaches and plums and arrange on a plate. 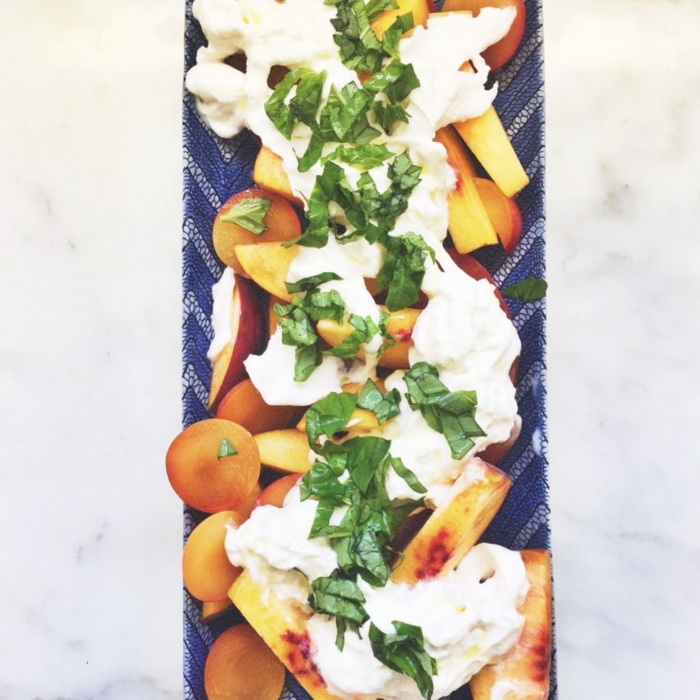 Open up the burrata and sprinkle all over the fruits. Disperse the chopped basil all over and drizzle with olive oil. I served it as an appetizer with prosciutto on the side, olive oil toasts and a big green salad!